5/3/14 -> Dr. Bones and Nurse Amy talk Antibiotic Resistance, MERS, tornadoes, Ukraine, Coconut Oil as dental aid, and more! Injuries involving stab wounds and hemorrhage are discussed in part 1 of this series. Learn how to deal with penetrating wounds. 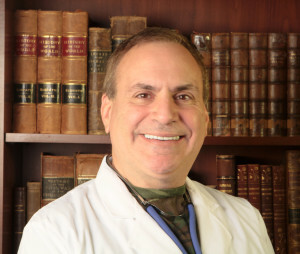 www.DoomandBloom.Net ,Joseph Alton, M.D. discusses how to keep your family safe in life-threatening situations. Treatment involving stab wounds and hemorrhage are discussed in part 2 of this series. Learn how to deal with non-perferating wounds. www.DoomandBloom.Net ,Joseph Alton, M.D. discusses how to keep your family safe in life-threatening situations. Learn how to suture with Dr Bones from The Doom and Bloom (tm) Show. Using a pig's foot he shows you how to cut an incision, apply anteseptic, insert the sutures, tie a proper instrument knot, cut the extra sutures and how to space the sutures for good wound closure. See www.DoomandBloom.net for more collapse medicine preparedness information. Hypothermia signs and symptoms, treatment and prevention. Winter is not the only time hypothermia can occur. 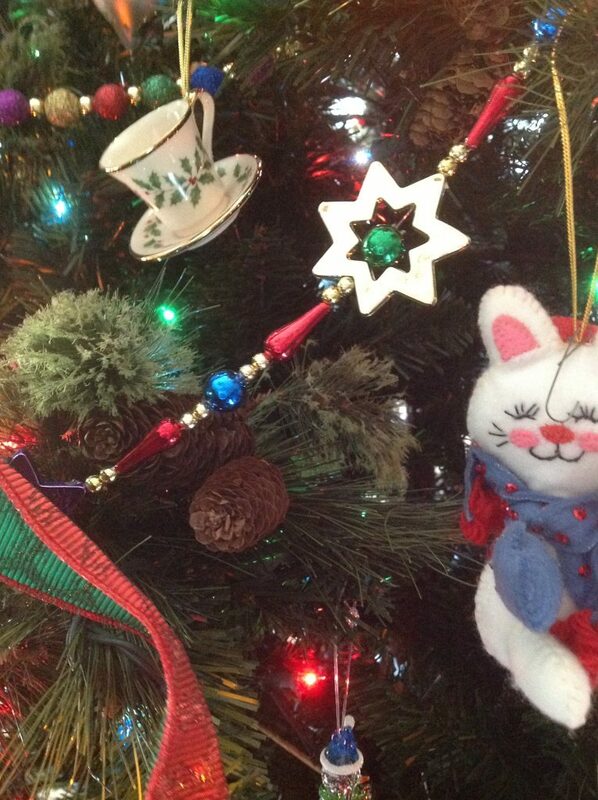 It’s the Christmas season, and we wanted to take a second to talk about the role that spirituality has in survival. Survival certainly involves having a plan for your physical self, food, water, shelter, but one of the most important things you can do to be ready for the uncertain future is to have your spiritual self in order. Many people in our world judge success by the amount of stuff they’re accumulated. Well, that’s all well and good, but like Ebenezer Scrooge learned in Dickens’ “A Christmas Carol”, physical riches matter little if you haven’t done your part to make the WORLD richer for having been in it. If you can do that, then you’ll be a wealthy man or woman: Wealthy in spirit. Those are the kind of riches that will get you through the toughest times. We always talk about the importance of education and training to your success when everything else fails, but you don’t have to be a pastor to see the benefits of faith. POW’s in Vietnam tell stories about how their spirituality gave them a sense of hope in what most would deem a hopeless situation. It’s that sense of hope that will strengthen your resilience in times of trouble, whether it’s a natural disaster, an economic collapse, or a personal tragedy. If it can be instilled in a group of people under adverse circumstances, they might just keep it together, even when everything else falls apart. 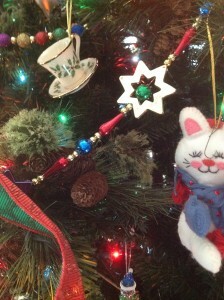 Dr. Bones and I would like to wish you and your family a Merry Christmas and the happiest and healthiest of New Year’s. Thanks so much for your support, and we hope that we can continue to be of service to the preparedness community for many years. In this episode of the Doom and Bloom ™ Survival Medicine Hour, the Altons discuss the viral illness that rages on in the Caribbean and South America, with 2000 U.S. cases in 2014: Chikungunya Virus. Also, Dr. Bones (Joe Alton, M.D.) discusses new thinking about tourniquets as well as the important survival antibiotic Metronidazole (Fish-Zole). With worsening sanitation and hygiene, there will likely be an increase in infectious disease, many of which cause diarrhea. Diarrhea is defined as frequent loose bowel movements. If a person has 3 liquid stools in a row, it’s important to watch for signs of dehydration. Diarrhea lasting less than three weeks is usually related to an infection, and is known as Acute Diarrhea. Chronic Diarrhea lasts longer than three weeks and is more likely related to disorders such as irritable bowel syndrome. Diarrhea, generally, is a common ailment which should go away on its own with attention to rehydration methods. In aome circumstances, however, diarrhea can be a life-threatening condition. Over 80,000 soldiers perished in the Civil War, not from bullets, but from dehydration related to diarrheal disease. There are some theories about creating homemade IV solutions. This is problematic and all the obstacles cannot be overcome. How do you make a 100% sterile solution that is exactly normal saline, get it into a sterile bag/delivery system and keep it 100% sterile in the process? You’ll also need a tubing system, which must also be sterile, to an I.V. catheter, which must be sterile until used. A standard IV bag is created in a specialized environment and remains sterile until punctured by a sterile (hopefully) tubing. Any exposure to the air will eliminate the sterility, which means that it is possible that you might be infusing bacteria directly into your patient’s bloodstream, a very bad idea. As a last resort to treat dehydration from diarrhea (especially if there is also a high fever), you can try antibiotics or anti-parasitic drugs. Ciprofloxacin, Doxycycline and Metronidazole are good choices, twice a day, until the stools are less watery. 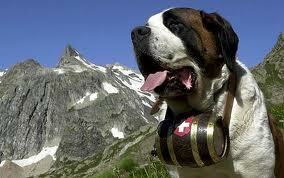 Some of these are available in veterinary form without a prescription (discussed later in this book). These medicines should be used only as a last resort, as the main side effect is usually…diarrhea! Exposure to cold may lead to injuries such as Frostbite and Immersion (Trench) Foot. The focus of survival medical training should be general, but also take into account the type of environment that you expect to live in if a disaster occurs. If you live in Miami, it’s unlikely you’ll be treating a lot of people with hypothermia. If you live in Siberia, it’s unlikely you’ll be treating a lot of people with heat stroke. Learn how to treat the likely medical issues for the area and situation that you expect to find yourself in. 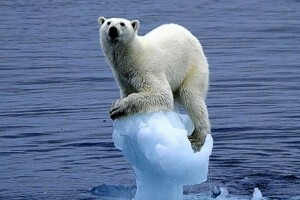 One major environmental risk is the effect of ambient temperature. 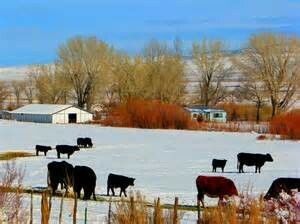 Humans tolerate a very narrow range and are susceptible to damage as a result of being too cold or too hot. Your body has various methods it uses to control its internal “core” temperature, either raising it or lowering it to appropriate levels. The body “core“ refers to the major internal organ systems that are necessary to maintain life, such as your brain, heart, liver, and others. The remainder (your skin, muscles and extremities) is referred to as the “periphery”. In general hypothermia, the body’s core temperature drops below 95 degrees F. There are cold-related injuries that occur in the periphery, however, and you might just encounter them if you’re on a winter hike or if there is a disaster-related grid shutdown. Two particularly difficult ones to deal with are Frostbite and Immersion (trench) Foot. Frostbite is the freezing of body tissues, and it usually occurs in the extremities, especially fingers and toes. Sometimes, the ears, nose, and even the lips may be affected. 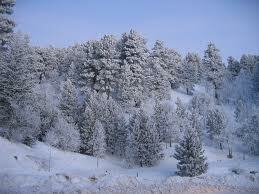 These conditions usually occur as a result of inadequately preparing for a trip in cold weather. If you expect to be outside for extended periods of time, dress warmly and consider what you would do for shelter and heat if you found yourself stranded somewhere. You could easily get lost during a hike in a snowstorm, have your car stall out, or other mishaps, so don’t feel that it couldn’t happen to you. Frostbite is sometimes listed in stages, from minor “frostnip” to severe cases causing permanent loss of tissue. Initial symptoms of frostbite include a “pins and needles” sensation and numbness. Skin color changes from red to white to blue as the condition worsens. The skin will begin to harden and may feel “waxy” to the touch. If cold exposure continues, the color may change to black, indicating that a condition known as “gangrene” has set in. Gangrene is the death of tissue resulting from loss of circulation. This usually results in the loss of the body part affected. Infection may also set in, affecting the entire body. This is called “Sepsis” and is life-threatening. 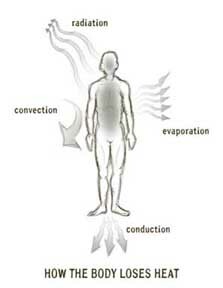 Immersion foot causes damage to nerves and small blood vessels due to prolonged immersion in cold water. This condition was previously called “Trench Foot”, as it was seen commonly in soldiers who spent long periods of time in the trenches of World War I. 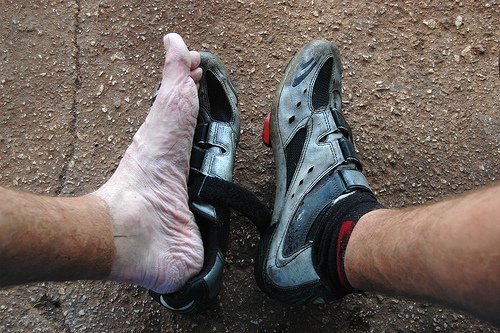 When seen in areas other than the feet, this condition is referred to as “chilblains”. Immersion foot appears similar to frostbite, but might have a more swollen or “juicy” appearance. The earlier that cold-related injuries are recognized and treated, the more likely the victim will recover without permanent damage. Frostbite or Immersion Foot is treated with a warm water (no more than 104 degrees F) soak of the affected areas. This is different from treatment of general hypothermia, which is best treated with warm DRY compresses in areas that effectively transport heat to the body core, such as the armpits, neck, and groin. Carefully monitor every member of your party for signs of frostbite in cold weather. If possible, get out of the cold and begin the rewarming process, even if it is just placing the victim’s hands in their armpits. Don’t allow thawed tissue to freeze again. The more often tissue freezes and thaws, the deeper the damage (think about what happens to a steak that goes from the freezer to outside and back again). If you can’t prevent your patient from being exposed to freezing temperatures again, you should wait before treating, but not more than 24 hours. Don’t rub or massage frostbitten tissue. Rubbing frostbitten tissue will result in damage to already injured tissues. Don’t use heat lamps or fires to treat frostbite. Your patient is numb and cannot feel the frostbitten tissue. As a result, significant burns can occur. Rapid action to rewarm cold-damaged tissues is the key to preventing long-term damage from exposure. Monitor your team members closely, and you’ll have the best change to succeed, even if everything else fails. The use of primary triage in mass casualty incidents is an efficient and safe method to give the most patients the best chance for survival. A process to sort patients and rank injuries when you as the medic are facing more than one patient in an emergency. 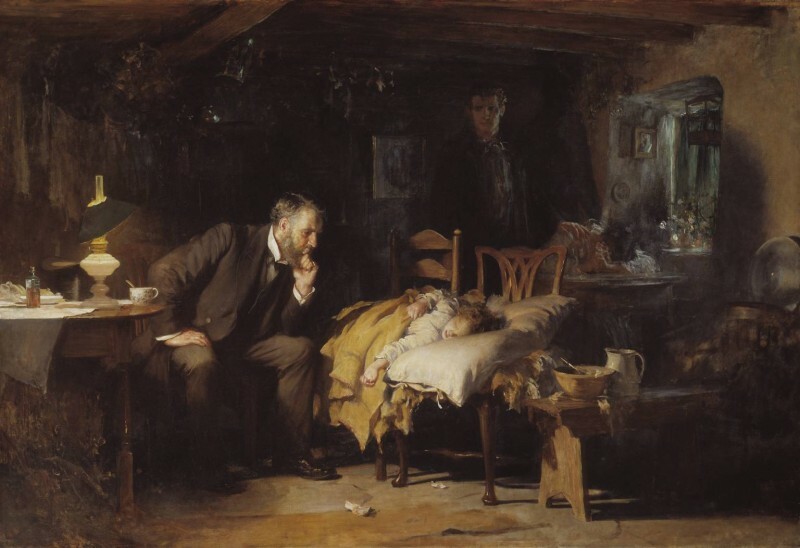 Part 1 by Joseph Alton, M.D., aka Dr. Bones. There is an epidemic that I’ve mentioned in past articles, and it’s spread to every continent: the epidemic of antibiotic resistance. Overuse of antibiotics in both humans and livestock (80% of antibiotics go to animals we eat) has resulted in drug-resistant strains of various microbes, including tuberculosis and salmonella. In the last few years, no new antibiotics have come down the pipeline. Some current drugs are in their fourth generation, as pharmaceutical companies tweak existing medicines to gain time before the next resistant bug appears. This standstill bodes badly for a world that’s accustomed to technology moving at a faster pace every year. 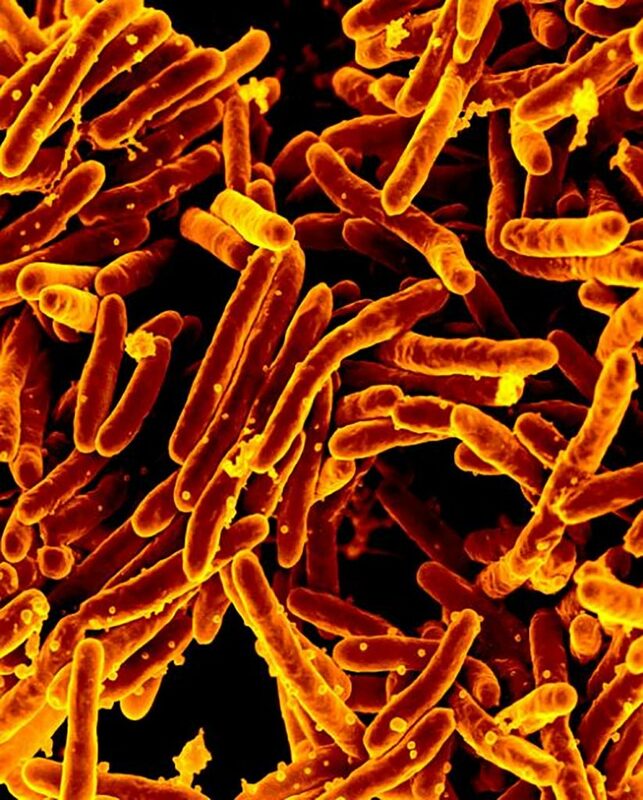 The era of totally drug resistant diseases may be dawning: A variant of tuberculosis in India that defies every method of treatment already exists. A rare bit of good news, however, on the antibiotic front is the discovery of the first truly new antibiotic in decades: Teixobactin. It wasn’t born in a laboratory; it was found in the dirt beneath your feet. Researchers have suspected that the soil’s bacteria might have much to teach us regarding how to fight disease. Different species of bacteria battle each other every day. Most bacteria, however, don’t grow well in laboratories. Now, the journal “Nature” reports that scientists have figured out how to grow previously un-culturable bacteria using an electronic “isolation chip”. They report that they have isolated a new antibiotic, Teixobactin, which they claim has no detectable resistance issues. It apparently works well against organisms that have become hardened to standard antibiotics, like Staph. Aureus and Tuberculosis. There are millions of uncultured bacteria in the soil that are yet to be grown and investigated. This new method of isolating these bacteria may lead to a number of new antibiotics. As well, other medicines for treatment against cancer, inflammation, and immune issues may one day be developed; it’s been described as the “tip of the iceberg”. Teixobactin and other drugs are still in the FDA pipeline, so it’ll be a while before you’ll be given a prescription for it. Serious side effects have to be ruled out before it goes to the general public. Let’s hope that this new method will lead to more breakthroughs. In this episode of the Doom and Bloom™ Survival Medicine Hour, Joe and Amy Alton, aka Dr. Bones and Nurse Amy, discuss the effects of alcohol, good and bad, on your health, sleep deprivation, new viruses on the horizon in West Africa, and basics of Escape and Evasion in Nurse Amy’s interview with Jack of Black Scout Survival, Part 2. It looks like another harsh winter, with ice storms and blizzards already carpeting much of the Midwest, Northeast and Canada, and cold weather preparedness is a must for survival. Failure to use precautions will lead to a condition called hypothermia. 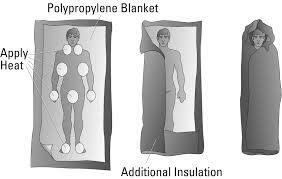 Hypothermia is a condition where the core body temperature drops below 95 degrees Fahrenheit. The normal body core temperature is defined as between 97.5-99.5 degrees Fahrenheit (36.0-37.5 degrees Celsius). In your efforts to be medically self-reliant, one of the major factors that must be taken into consideration is your environment. If you haven’t prepared for the weather, you have made your environment your enemy, and it is a formidable one. The last ice storm caused 27 deaths, some of which were avoidable. Therefore, it’s important to be prepared to prevent death from exposure and to know how to treat someone who is hypothermic. To prevent hypothermia, you must anticipate the climate that you will be traveling through, including wind conditions and wet weather. Condition yourself physically to be fit for the challenge. Travel with a partner if at all possible, and have enough food and water available for the entire trip. No Alcohol for Hypothermia! Bad Dog! Our next article will address specific cold weather issues, such as frostbite, immersion foot (trench foot), and falling into cold water. It’s Presidents’ Day in the U.S., and we celebrate the 43 men who have held the office, beginning with George Washington. However, was George Washington really the first President? Seems like the simplest question that even a kindergartener could answer, but it’s not exactly as clear-cut as you’d think. The United States declared its independence in 1776, but George Washington didn’t take office until 1789! So who was in charge of running the country until then? Naysayers say no one, but there were a number of patriots who had the title of president. The big question is, president of what? There were a number of Presidents of the Continental Congress, beginning with the man who signed his name in large script, John Hancock. But were the thirteen colonies now one country on July 4, 1776? Not officially. It wasn’t until the Articles of Confederation were signed in 1781 that we could say that the thirteen colonies were a new unified nation, the United States of America. 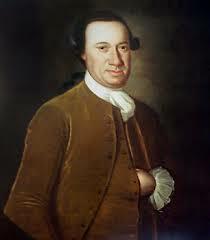 The first man elected president under the Articles of Confederation (who didn’t resign immediately, at least) was one John Hanson of Frederick County, Maryland. Who? Once the signing of the Articles of Confederation took place in 1781, a President was needed to run the country. John Hanson was chosen unanimously by Congress (which included George Washington As the first President, Hanson had quite the shoes to fill. No one had ever been President of the United States; the responsibilities were vague and ill-defined, but there were issues to be settled. As the war for independence wound down, continental troops were demanding back salaries. Many of them were not in favor of the new government and even considered installing George Washington as King. John Hanson was responsible for quelling this discontent and held the rickety congress together. Hanson is also responsible for ejecting foreign troops out of the new country. This wasn’t easy, as many of our allies felt they had a claim to special privileges due to their aid for the American cause. Among other things, he also established the Treasury, War, and Foreign Affairs departments. All of this in a term of office that lasted only one year. So why don’t we recognize these patriots as our first Presidents? Because we didn’t yet have a constitution that gave the federal government any significant power. As such, they served as President of Congress more than as leader of a united country. Therefore, George Washington was the first president to serve under a firm constitution that established the United States that we know today. The first presidents? They have faded into history, but let’s not forget their service to a fragile new entity that became a great nation. Cholera signs and symptoms with treatment in disasters and survival. Learn more at http://www.doomandbloom.net/ . Treating Cholera. How to treat Cholera. Survival Medicine. Doom and Bloom. 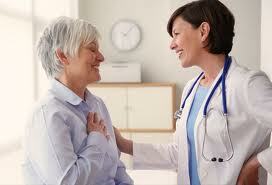 The chest cavity contains your heart and lungs, organs that could be easily injured if not protected. Your ribs form a protective armor around these organs, absorbing blunt trauma that could otherwise cause major damage. Ribs may fracture when subjected to force, resulting in pain and difficulty with breathing. In the U.S., 300,000 rib fractures are diagnosed and treated every year, with a small (7%) number resulting in hospitalization and, sometimes, surgical intervention. 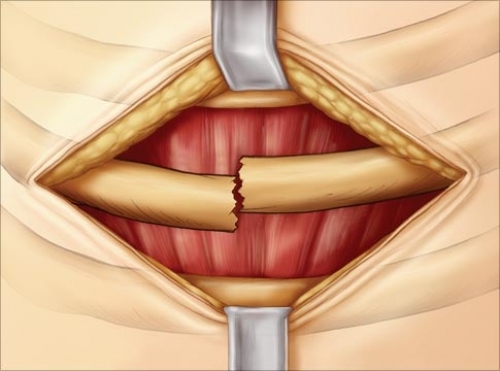 Trauma that is severe enough to fracture a rib can cause damage to the heart, lungs, blood vessels, and upper abdominal structures like the liver, diaphragm, kidneys, and spleen, depending on the location. You have 12 pairs of ribs. These are sometimes characterized as “true ribs”, “false ribs”, and “floating ribs”. The true ribs (ribs 1-7) connect via flexible cartilage to the breastbone, or sternum. False ribs (8-10) connect to the sternum at the cartilage of the 7th rib. The 11th and 12th ribs “float” anteriorly, with no connection to the breastbone. All ribs connect to the thoracic spine in back. Ribs are also connected to each other by muscles (called “intercostal” muscles). • Assymetrical movement of the chest wall (sign of a condition called “Flail Chest”. 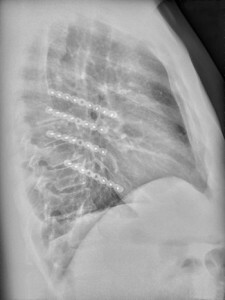 A flail chest occurs when several adjacent ribs are fractured. It can be identified by placing one hand on each side of the chest, and observing movement during breathing. The uninjured side will rise during inspiration, but the flail injury will fall. 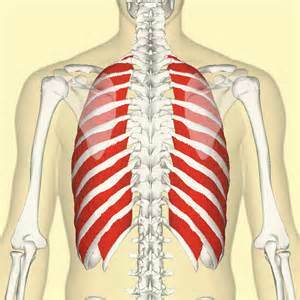 This occurs because the “loose” segments of rib cage are pulled into the chest cavity when inhaling, increasing the work of breathing. Flail chest injuries often cause pulmonary contusions, a bruising of the lungs that interferes with oxygenation. 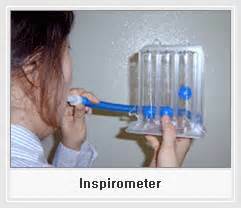 Often, the patient requires ventilator support and will do poorly in austere settings. 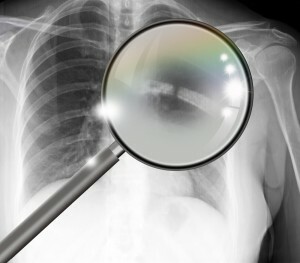 Serious fractures may puncture the lung, causing it to collapse, or cause internal bleeding. Efforts by the victim to limit pain by avoiding deep breathing may result in pneumonia, poor oxygenation, and even partial collapse (also called “atelectasis”). Treatment of a punctured lung will be discussed in a future article. In normal times, any patient with a suspected rib fracture should be taken immediately to a modern medical facility. The major goal of treatment is pain control. By decreasing the victim’s pain during breathing, you will preserve normal ventilation and prevent lung complications. The most commonly used medications are non-steroidal anti-inflammatory agents like Ibuprofen or Naproxen, although they may have risks if there is internal bleeding. If an injury occurs in the wilderness, the patient should be placed in a lateral position on the side where the injury occurred. Ice packs, if available, will help relieve discomfort. They should be applied for 20 minutes each hour the first 48 hours after the injury, and as needed afterwards. 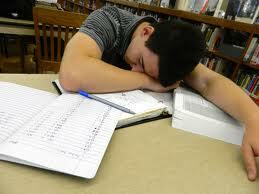 Limit activities that cause pain, but the patient should not be bedridden. Some recommend slinging the arm on the side of the injury with a soft pack of spare clothes for support. 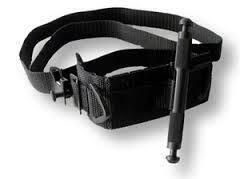 Previously, fractured ribs were treated with a binder called a “rib belt”. Although this method relieves some pain, it has since been determined to cause more harm than good by preventing the ability to take deep breaths. Although wrapping the chest is no longer done, some practitioners still suggest placing 4 or 5 strips of tape parallel to each other over the area of the injury. If you must do this, only tape one side from the spine to the sternum and observe for any restriction of breathing. Remember that, if a rib is displaced inward, any binding may push it further into the chest cavity. Prevent pneumonia or lung collapse due to “underbreathing” by encouraging slow deep breathing exercises and gentle coughing every 2 hours or so. 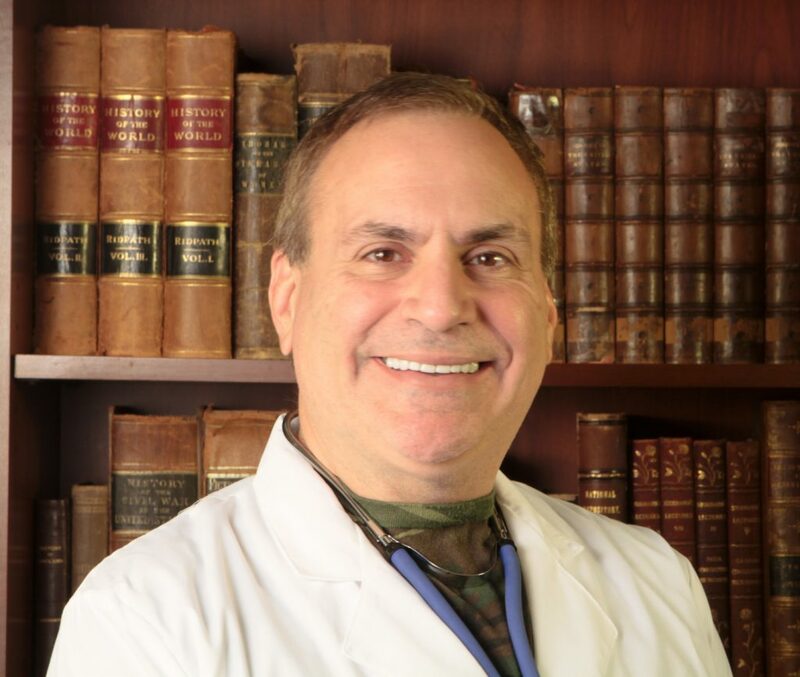 Your patient will experience less pain during this process by holding a blanket or pillow against the site of injury. Signs of pneumonia will include fever and cough. In situations where the rib segments are displaced, titanium plates are sometimes attached surgically to provide support and protect from further injury. This is required only in a small percentage of injuries. 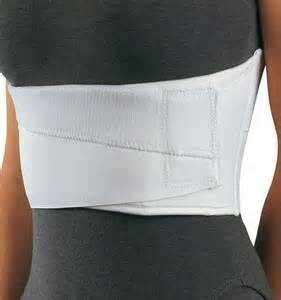 Healing from a rib fracture usually takes about 6 weeks, but the patient may not be pain-free until much later. Have you fractured a rib during your travels? Let us know about your experiences in the comments section! Few of us are blessed with perfect skin in normal times, and the circumstances surrounding a disaster are unlikely to improve that. Given that the preparedness community is composed of rugged individualists who may not put nice skin at the top of their survival priorities, you can expect to deal with a number of neglected skin issues if things go South. While they may not land your people in the survival sick room, they can be major annoyances and affect their work efficiency, and that’s unacceptable. 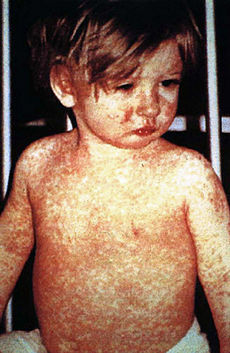 · Contact dermatitis (above): Caused by allergens (allergy-causing substances) and chemical irritants. A good example would be poison ivy. Sometimes, wearing costume jewelry will cause it. · Soaps. laundry soap and detergents. · Metals, such as nickel. · Weeds, such as poison ivy, oak or sumac. Once you’re sensitized to an allergen, your body’s immune system produces antibodies against them. Future exposures, therefore, may cause skin reactions. Your patient will probably experience these reactions on and off for the rest of his or her life. Corticosteroid creams, cool moist compresses and avoiding irritants will be the cornerstones of treatment. Use these only until the rash is improved. Antihistamines such as Benadryl or Claritin will help relieve itching. Of course, if the dermatitis was caused by contact with an irritant, avoid it if at all possible. It is a “trigger” that will set off future reactions. Seborrheic dermatitis (above): A commonly seen flaky, itchy condition that affects the face and scalp (common cause of dandruff). Scalp irritations caused by Seborrhea may be treated by shampoos that contain tar, pyrithione zinc (Head and Shoulders), or ketoconazole. Atopic Dermatitis or Eczema (above): A chronic itchy rash that can be found in various areas at once (oftentimes, the face) and tends to be intermittent in nature. This may be accompanied by hay fever or asthma, and sometimes flares up in cold weather. Treatment is similar to contact dermatitis. Neurodermatitis (above): A chronic itchy skin condition localized to certain areas of the skin (as seen in a herpes virus infection called “Shingles”). 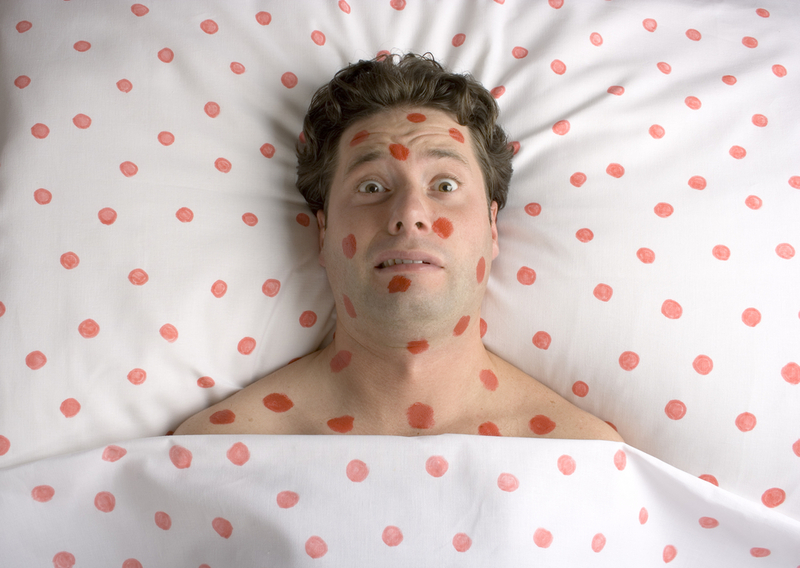 Neurodermatitis caused by Shingles may be treated with anti-viral agents, such as Acyclovir, Valtrex, or Famvir (but not by Tamiflu, a commonly used antiviral for influenza). · Stasis dermatitis (above): An inflamed area caused by fluid under the skin, commonly seen on the lower legs of older individuals. Poor circulation is a major factor here. To deal with dermatitis related to poor circulation, you may have to use support stockings on top of a mild steroid. See our article on varicose veins by using the search engine on the upper right of this page. Rosacea (above): A reddened area on the face that is caused by swollen blood vessels, usually in fair-skinned individuals beginning in middle age. It is accompanied by spider veins, flushing, and, sometimes, a markedly red nose and an appearance like acne. It is NOT acne, however, and will not respond with over-the-counter acne medicine. 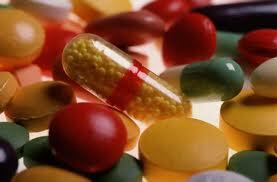 Antibiotics are sometimes used, and Vitamin A-related medications like Accutane may help. Psoriasis (above): Thickened patches of reddened skin with silvery flaking. This is actually an auto-immune condition, where the body fails to recognize its own skin cells! This causes a reaction that causes the buildup of new skin cells where the body mistakenly thinks an injury has occurred. Moisturizers as well as corticosteroid and coal tar ointments are helpful; Psoriasis responds to sunlight, so phototherapy using special lamps are used in this condition. Natural supplements that improve dermatitis are numerous and often involve Omega-3 fatty acids, which have an anti-inflammatory effect. 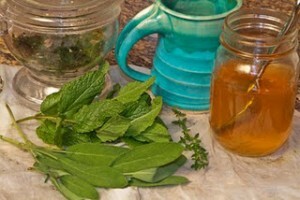 Used with evening primrose oil, it is especially effective. Chamomile cream is thought to be as potent as a mild hydrocortisone. Calendula has skin-soothing properties and may protect against contact dermatitis. Be aware that it may trigger an allergic reaction on broken skin. Learning to treat medical problems in a grid-down situation isn’t always about dealing with gunshot wounds and other major trauma. Sometimes, little things can make people miserable and affect their ability to contribute to group efforts. A working knowledge of skin conditions and their treatments will make you a more effective survival medic. Many people in the preparedness community are ready for injuries and illness, but few people realize that dental problems will be part and parcel of any long-term survival scenario. Dental equipment may not be necessary if you spend a few days without power due to a storm. If you’re off the grid for 6 months or longer, however, this equipment will come in very handy. If dental supplies are one of the holes in your medical preparedness plan, then you’ll likely have a lot of holes in your smile. This is why we have dental kits in our online store as well as medical kits. In this article, we’ll discuss how how bacteria cause tooth disease. Bacteria live in your mouth and colonize your teeth. Usually, they will accumulate in the crevices on your molars and at the level where the teeth and gums meet. These colonies form an irregular thick film on the base of your enamel known as “tartar” or “plaque”. The more tartar you have, the less healthy your gums and teeth are. When you eat, these bacterial colonies also have a meal; they digest the sugars you take in and produce a toxic acid. This acid has the effect of slowly dissolving the enamel of your teeth (the outside of the tooth that’s shiny). This commonly happens around areas where you’ve had dental work already, like the edges of fillings and under crowns or caps. People born with deep crevices on the crowns of their molars may have more of a tendency to get cavities than others with smoother crowns. 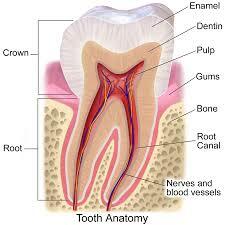 Once the enamel has broken down, you have what is called a “cavity”. This could take just a few months to cause problems or could take 2-3 years. Once the cavity becomes deep enough to invade the soft inner part of the tooth (the pulp), the process speeds up and, because you have living nerves in each tooth, starts to cause pain. If the cavity isn’t dealt with, it can lead to infection once the bacteria dig deep enough into the nerve or the surrounding gum tissue. Inflamed gums have a distinctive appearance: They’ll bleed when you brush your teeth and appear red and swollen. 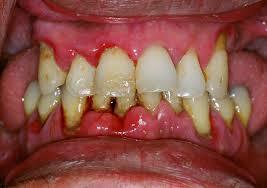 This is called “gingivitis”, and is very common once you reach adulthood. 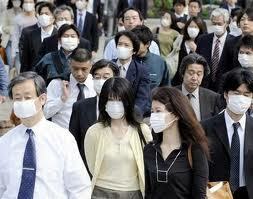 As the condition worsens, it could easily lead to infection. If it affects the gums, it may spread to the roots of teeth or even the bony socket. 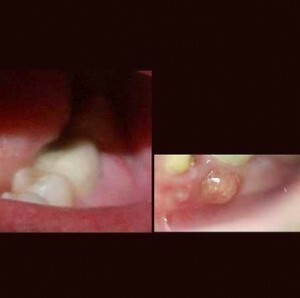 Once the root of the tooth is involved, you could develop a particularly severe infection called an “abscess”. This is an accumulation of pus and inflammatory fluid that causes swelling and can be quite painful. Once you have an abscess, you will need antibiotic therapy and/or perhaps a procedure called an “incision and drainage” to drain the pus that has accumulated. The tooth will likely be unsalvageable at this point without a root canal treatment. Tooth abscesses, if untreated, sometimes cause bacteria to enter your circulation. This can cause a life-threatening condition called septicemia. Diet plays an important part in the process of cavity formation. A diet that is high in sugar causes bacteria to produce the most acid. The longer your mouth bacteria are in eating mode, the longer your mouth has acid digging into your teeth. The two most important factors that cause cavities are the number of times per day and the duration of time that the teeth are exposed to this acid. Let’s say you have a can of soda in your hand. If you drink the entire thing in 10 minutes, you’ve had one short episode in which your mouth bacteria are producing high quantities of acid. The acid level drops after about 30 minutes or so. If you nurse that soda, however, and sip from it continuously for hours, you’ve increased both the number of exposures to sugar and the amount of time it’s swishing around in there. The acid level never really gets a chance to drop, and that leads to decay. Here’s a simple way to make a survival toothbrush. 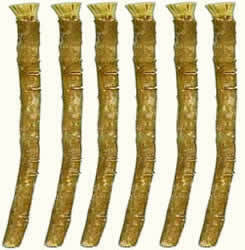 Take a twig of live wood (Native Americans preferred black birch for its minty taste) and chew on the end until it gets fibrous. Then use that end to brush your teeth! More on dental preparedness in future articles. In previous articles, I’ve discussed the risk of overuse of antibiotics leading to antibiotic resistance. Recently, I reported good news in the development of a new antibiotic, Teixobactin. This antibiotic was discovered through a new method that allows evaluation of many microbes that live in soil. Although promising, we may have to wait years before new antibiotics receive approval from the Food and Drug Administration (FDA). This means that we still have much to worry about with regards to resistant bacteria. In 2001, a North Carolina hospital noted that some bacteria normally found in our intestinal tract, Enterobactericeae, were becoming resistant to antibiotics given for hospital-based infections. There have since been many such incidents: In 2012 alone, more than 200 medical facilities in 42 states reported at least 1 case. Hospital-acquired infections are called “nosocomial infections” and present a major issue to those taking care of patients who required advanced care, such as ventilator support. These resistant bacteria, including common pathogens such as E. Coli and Klebsiella, are known as Carbapenem-Resistant Enterobacteriaceae, or CRE. The concern is that the Carbapenem class of antibiotics are often the last resort used to cure infections in those that are weakened by chronic disease or require nursing care. In these patients, presence of CRE in the bloodstream is associated with a 50% death rate, much more than more well-known troublesome bacteria such as MRSA (Methicillin-Resistant Staph. Aureus). It’s uncertain how CRE first originated, but the food industry, with its almost-indiscriminate use of antibiotics in livestock, may be the culprit. 80% of antibiotics used in the U.S. today go to the animals we eat. This is not to cure an illness, but to make them grow faster and get to market sooner. It’s my belief that our issues with resistance stem, at least in part, from this practice. In recent news, some medical instruments used in hospitals appear to be a source of contamination, even after “sterilization” according to manufacturer recommendations. Hospitals in Seattle and Los Angeles have seen outbreaks in the last few weeks. How do we stop the upsurge in resistant bacteria? It’s not easy, but we should start by adjusting our attitudes towards the drugs we use. You shouldn’t use antibiotics for every minor ailment that comes along. This goes for doctors, but also for patients that believe that they are a quick fix for a respiratory infection. 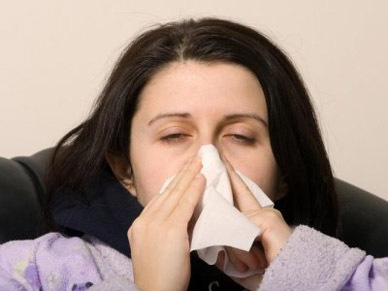 Most respiratory infection are viral in nature, and antibiotics do not affect viruses. 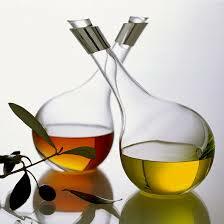 • As previously mentioned, overuse can foster the spread of resistant bacteria. Antibiotics routinely given to turkeys caused a resistant strain of Salmonella that put over 100 people in the hospital in 2011. 36 million pounds of ground turkey were recalled. • Potential allergic reactions may occur. the worst cases could lead to anaphylactic shock. • Making a diagnosis may be more difficult if you take antibiotics before you’re sure what medical problem you’re actually dealing with. The antibiotics might temporarily “mask” the symptoms, which could cost valuable time in determining the correct treatment. Although CRE is currently limited to medical facilities, there is nothing that says that it may not spread to a community at large. Enforcement of strict infection control guidelines, including additions implemented in the 2014 Ebola scare, should decrease the number of events and the risk of CRE moving out of the hospital and into your home. 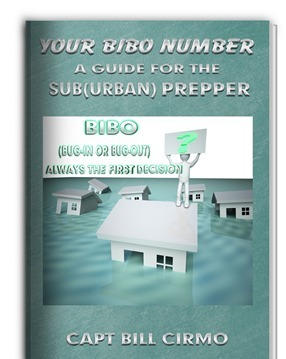 In this episode of the Doom and Bloom(tm) Survival Medicine Hour, Joe and Amy Alton, aka Dr. Bones and Nurse Amy, welcome Captain Bill Cirmo of BIBO (Bug-In Bug-Out) outfitters, author of the new book “Your BIBO Number: A guide for the (Sub)Urban Prepper”, a new way to quantify when it’s time bug in or bug out. Bill is also a former U.S. Navy pilot, dive instructor, and designer of an amazing bug-out trailer equipped with everything you could need in a survival situation. Also, Dr. Bones talks about Athlete’s foot, a small problem that could cause big problems with work efficiency off the grid, plus Nurse Amy discusses our European trip to a number of countries and the preppers we’ll be talking with there.